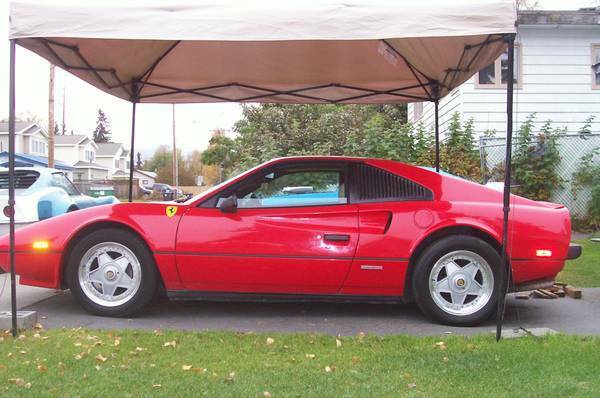 The Pontiac Fiero was given a mid engine setup and an Italian name that meant "proud", so why not fulfill that destiny by converting your Fiero to Fauxrarri...or save your cash and buy one that is already eye-tallion. Like this black 1984 Pontiac Fiero offered for $4,500 or this red 1985 Pontiac Fiero offered for $8,500, both in Anchorage, AK from the same seller via craigslist. Tips from Zach. 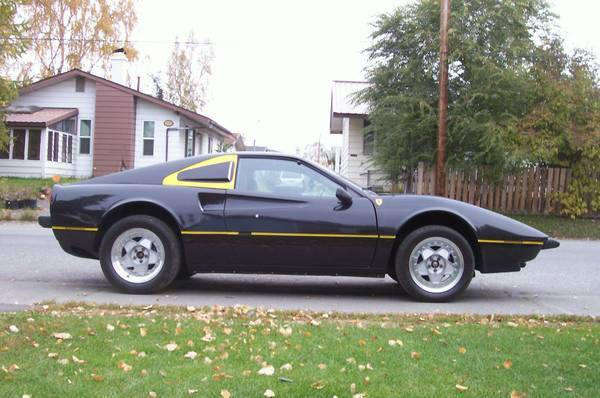 First up is the black Fiero that is supposed to be a 1986 Ferrari 328 GTS -- it actually does a pretty convincing job of looking like a Ferrari, even if the performance from the 2.5 liter Iron Duke-4 mated to a slushbox is going to be more like a prancing donkey. The red Fauxrarri looks very Magnum PI , but it is similarly powered by an Iron Duke-4 mated to an automatic transmission -- expect this kit to be less Magnum and more Higgins. There has to be a better way to do those door handles on the red one. As stated in the ad: "Just because you don't have a million bucks does not mean that you can't look like you have a million bucks"
Haha. Nice. Reality is, you're going to look like you *had* $8500. Door handles? We don't need no stinking door handles! 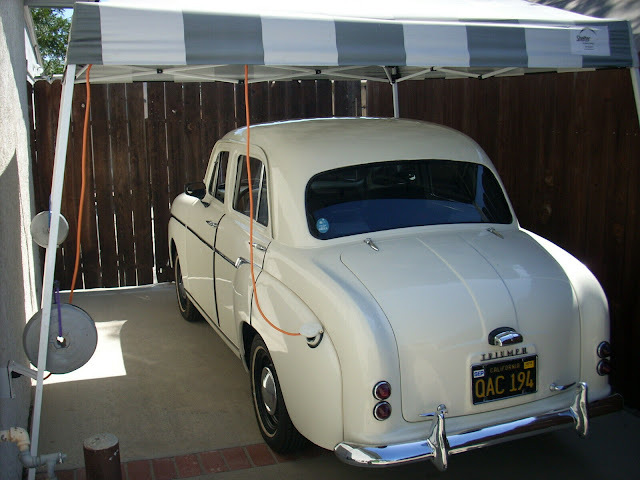 Heck, just take a cue from Bo and Luke Duke: Weld the doors shut and crawl through the windows. Plus, I already have a Hawaiian shirt and a Tigers cap. When the Fiero came out, word on the street (in Detroit) was GM would *never* put a V8 in the Fiero, because when the engineers tried it with a DOHC V6, it outperformed the Corvette (for a LOT less). That's believable... and a very similar reason why the turbo Buick Regal platform was killed in '87. "American's sports car" couldn't be slower than your grandparents favorite badge (in straight line acceleration anyway). I like the red one's looks better... but I'd much rather have an extra $4000 left over to get a better drivetrain stuffed in the black one. While an LSx swap or Buick 3800 Supercharged might be the obvious choice, I'm wondering how it would do with a turbo Ecotec. And I'd see if I could come up with some sort of parody of the Ferrari badges - perhaps a prancing turkey.